Buying a Car: How Do You Know What Kind of Engine to Get? If you're interested in buying a car, you've probably realized that the engine you choose can have a huge impact on a lot of factors, including pricing, fuel economy, acceleration and sometimes even equipment and features. But what do all the engine terms used in car reviews mean? And which engine should you get in your next car? We have some answers that may help simplify the process for you. Although engine-related automotive terms can be daunting, there aren't really that many things you need to know. 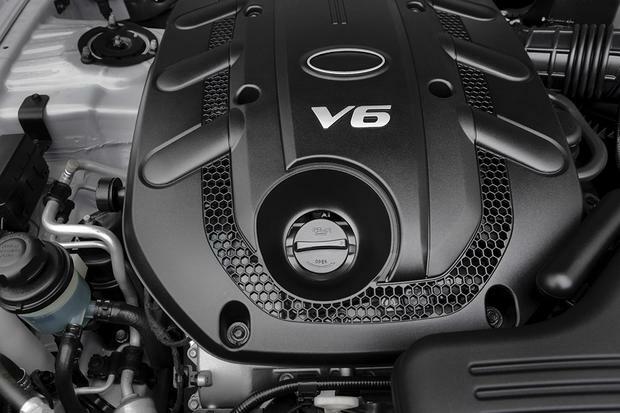 Engine size is usually quoted in three ways: First, there's horsepower rating, which tells you how much power the engine makes, and then you'll hear the displacement (quoted in liters) and the number of cylinders, which tells you how big the engine is. For example: A car with a 200-hp 3.0-liter V6 makes 200 hp from a 3.0-liter engine with six cylinders. The 3.0-liter portion refers to the total size of the cylinders. If you're comparing that to, say, a car with a 220-hp 2.0-liter 4-cylinder, the second vehicle has more power but a smaller engine. Although car enthusiasts tend to know more details about these terms, most people could never possibly quote you their vehicle's hp rating or engine size -- so you shouldn't get too caught up in exactly what everything means. Now that you know the general idea behind engine descriptions, you probably want to know which one is right for you. For example, hp may be a measure of a vehicle's power, but just how much is right in your situation? Obviously, this can vary vastly from driver to driver, from budget to budget and from vehicle to vehicle, but here's how you can usually think of it: In general, a car with less power and a smaller engine will get better fuel economy than a car with more power and a larger engine; a car with less power will also usually cost less. Likewise, a car with more power and a larger engine will offer better performance than a car with less power and a smaller engine -- and usually, it will cost more. As a result, if you're interested in fuel economy, you might want to consider a car with a smaller engine, but if performance is your thing, you may instead appreciate more power. Something else you might notice is that some cars offer options and features specifically tied to their engine size. For instance, if a car offers 4- and 6-cylinder engines, certain high-end options might only be available if you choose the 6-cylinder version. In that case, you'll have to decide whether those features are worth the fuel economy hit -- and the increased expense. Although our information above can be helpful in understanding exactly what engine terms mean on paper and in deciding which engine might be right for you, we still think there's no substitute for a test drive. You may decide you want a more powerful engine, only to drive the car with the smaller powerplant and realize it has more than enough oomph. On the other hand, you may have decided to get the less-powerful version, only to realize it doesn't have enough power to get up the highway on-ramp near your house. As a result, our remarks above -- and everything you see on paper -- are only a guide to follow when you're buying a car. You shouldn't make your final decision until you've taken your own test drive and experienced the car for yourself.